than buying an overpriced can of bug spray at the store. I’m sure as you’ve seen for yourself, those bottles of bug spray can be really expensive! Who doesn’t love a great DIY project that will save the whole family from those annoying bug bites. Here’s a great natural bug repellent to add to your arsenal! 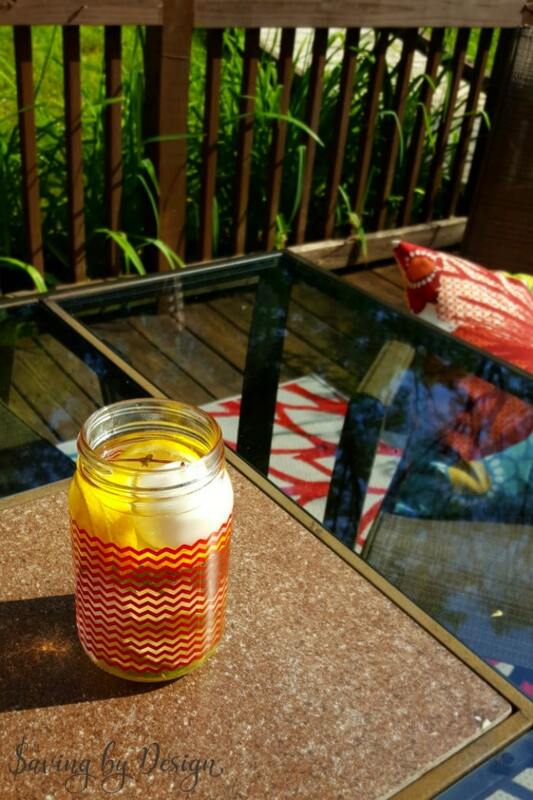 I love being able to create a homemade bug repellent that is effective, easy, and makes a pretty decorative accent. That’s a win-win-win in my book! I just love the way they look and smell, and I think you will too! Not too bad for a list of ingredients, huh?! Especially when it is a natural mosquito repellent that works! Nothing gets me more excited for a good DIY project for the family than when it contains safe ingredients that aren’t expensive or hard to get. To assemble your luminaries place at least 2 sprigs of herbs in each jar, 4 cloves, and fill half way with hot water. Add 10 drops of Nature Shield to each jar and swirl to mix. 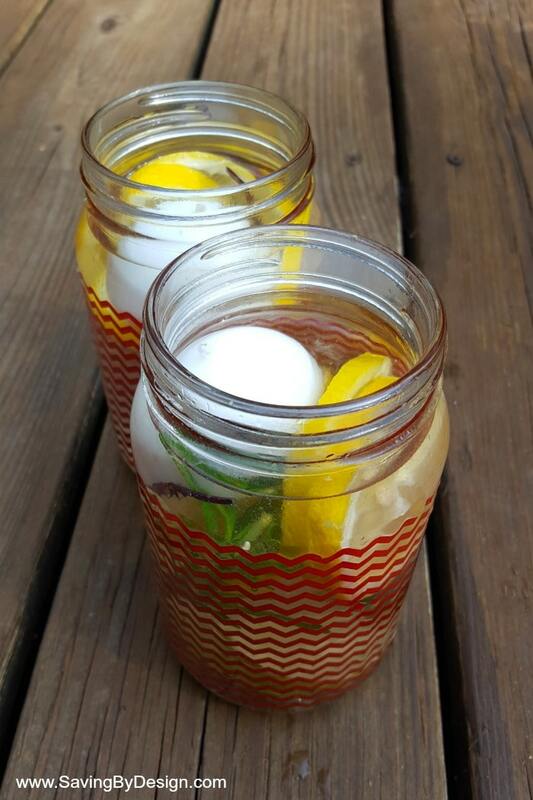 Finish the jars by adding a few lemon and lime slices, add water to the top if needed, then top off with a floating candle. And that’s it! Pretty easy, right? I have total faith that you’ll be able to pull these off in no time. While these jars won’t have a crazy strong scent, they look beautiful and work great when used in combination with other natural bug repelling remedies. And it’s so nice to have pretty candles lighting up the backyard during the evening. Your backyard will be bug free and inviting for those backyard parties you are planning! There are so many ways to make sure you keep your family safe from all of the bugs this summer. 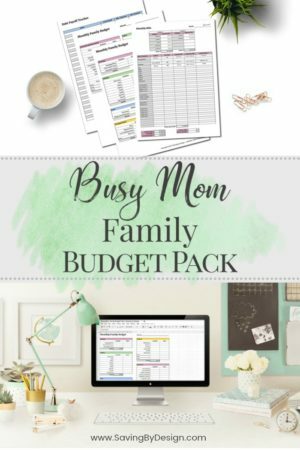 Check out these other great ideas! 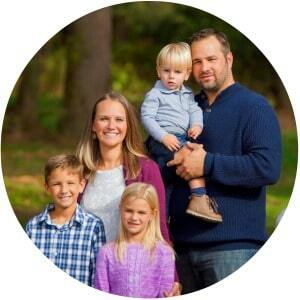 I absolutely love using my essential oils for different natural ways to help my family with ailments. But did you know that many essential oils are also a great natural bug repellent? AnnMarie and HealthLine go into how these specific essential oils can work to repel bugs and mosquitos away from your family and yard effectively. We all want to avoid the potential harmful chemical DEET in our bug spray, and this is a great way to make sure we do! 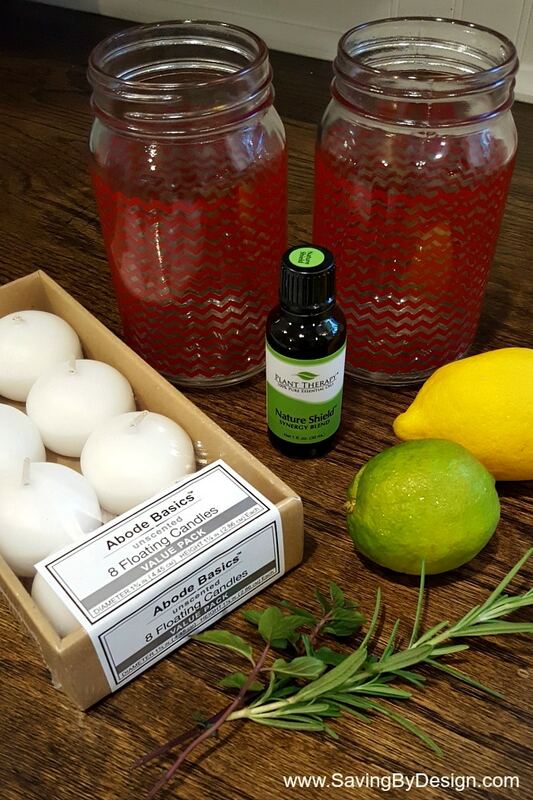 What a great way to keep the bugs away with these natural bug repellent essential oils. I also love how HealthLine shares how to treat mosquito bites naturally with Apple Cider Vinegar. Putting a slice of raw onion on the bite can help to take the itching and swelling down, as well. These natural ways of helping once a bite has already taken place are a huge relief to this mom, who hates using chemicals when it comes to first aid! This great article from Consumer Reports goes into detail on how effective natural bug repellent can really be. What do you think? Based on their research, they did find that using specific natural ingredients did, indeed, work wonders for keeping the bugs away! They also tested the safety of many of the different natural bug repellent ingredients, which is great for me to know how it could potentially affect my family. Take a peek! I get it. Not everyone wants to create DIY bug spray or natural insect repellent. Some may just want the latest and greatest products that have amazing reviews. Lucky for you, I found the 13 Best Natural Bug Repellents from BestProducts.com that you can order right now! All of these amazing products are made without DEET, which is my #1 priority. From mosquito repellent spray to great citronella candles, you are going to be set for all of your backyard and outdoor fun this summer! 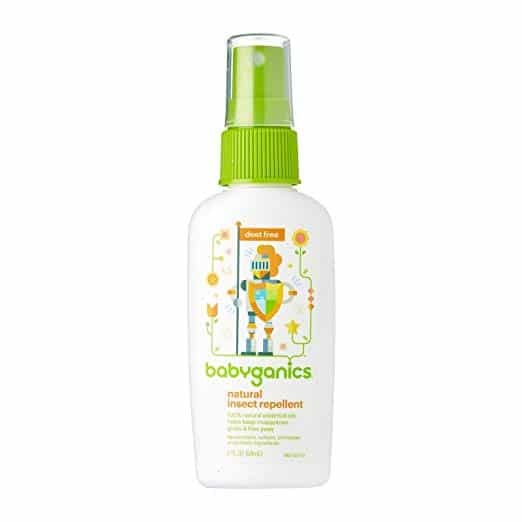 There are also some great natural mosquito repellent for babies that will keep your little ones happy too. There are even specific essential oils blends that are sold, along with incense sticks, and even soap! That will make your next camping trip much smoother than the last time you were fighting off all of those pesky mosquitos! I can’t wait to try some of these natural bug repellents out. If you are still looking for a few other great natural bug repellent ideas, QuickenLoans is here to save the day! Who knew they offered more than loans?! All you have to do is mix some of these up and sprinkle them around the foundation of your home every few weeks! This is a great way to keep those pesky intruders out of the house. Is it really that easy?! Grab that apple cider vinegar again that you used to help those nasty bug bites and get ready to spring into action! All you need to do is add some to a spray bottle, add herbs you may have (such as mint, lavender, catnip, sage or thyme) and fill it up with water. Shake it well and let it sit overnight and bam! The next day you’re going to have a very effective natural bug repellent! While you may be saving that vodka for your backyard barbecue with friends and family, you may want to spring for an extra bottle to make this great natural bug repellent for the home. All you have to do is fill a small spray bottle with vodka and add about 20 drops of any of the essential oils that were mentioned in the above section. Bam! Spray it around your yard, picnic table, or camping site, and ease the bug population in your immediate vicinity in no time! 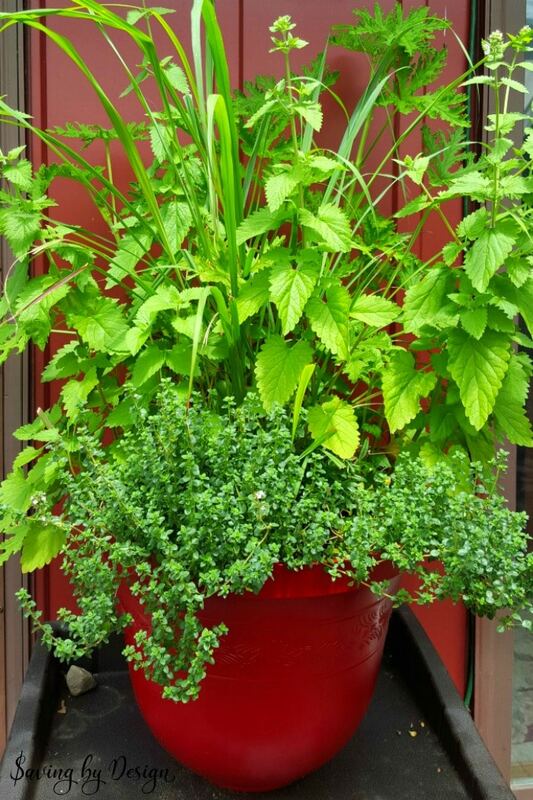 It’s also a good idea to plant specific bug repelling plants around your home in containers or in your garden. It may just make the difference in keeping the bugs away or having your backyard be overrun by mosquitoes. And I don’t know about you, but when I’m gardening, it’s also nice not to get attacked by bugs! Simply plant easy things such as citronella grass (which I have planted in my yard) and catnip! I also plant an herb garden every year and some of the herbs I plant do a great job at keeping the bugs away, too. It serves such a great double purpose! Herbs such as lavender, basil, rosemary and thyme are great to include in your herb garden AND are a great natural bug repellent! Now go enjoy your wonderful (and hopefully bug-free) summer! With these amazing tips and ideas, your yard, campsite, or outdoor adventure will be safe! 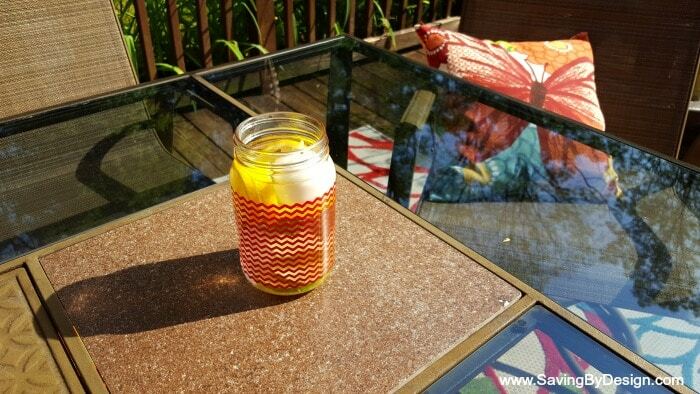 > Homemade Natural Bug Repellent – Get Rid of Bugs and the Chemicals Too! « Pineapple Teriyaki Pork Kabobs – Salty, Sweet, and Scrumptious!